When stopping on a dime is harder than it sounds. A disc brake system consists of a brake disc or rotor, a brake caliper, and brake pads. When the brake pedal is applied, pressurized hydraulic brake fluid squeezes the brake pads against the surface of the brake rotor. The result of this contact produces friction which enables your vehicle to slow down or stop completely. *Most vehicles, per axle. Save off current in-store pre-tax price. All axles on vehicle must be purchased/serviced in some transaction. Not to be combined with any other offer/discount/coupon/promotion. Coupon required. No cash value. Not valid on prior purchases or rain checks. Not transferable. Offer ends 12/31/18. See dealer for complete details. WHAT IS BEING REPLACED WHEN YOU SERVICE YOUR BRAKES? The component most frequently replaced are brake pads due to their key role in bringing your vehicle safely to a stop. Brake pads absorb most of the heat and friction produced during the braking process and therefore are the fastest wearing component of your braking system. 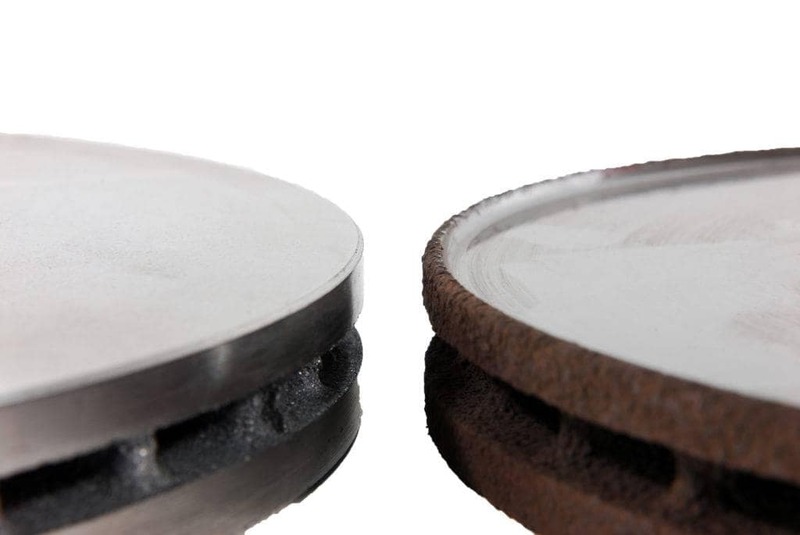 Replacing your pads regularly can extend the life of your more expensive brake rotors. Brake rotors will wear over time as well even with regular pad replacement. The friction produced during the braking process simply wears though. Brake fluid is the other main consumable when it coms to your vehicle’s braking system. Much like your engine’s oil, brake fluid collects dirt and debris over time that can effect its performance. Changing your brake fluid according to your vehicles Owner’s Manual is best. Q: What could be the cause of brake noise? A: Vibration, loose spring clips, and/or poor brake pads can cause noises. 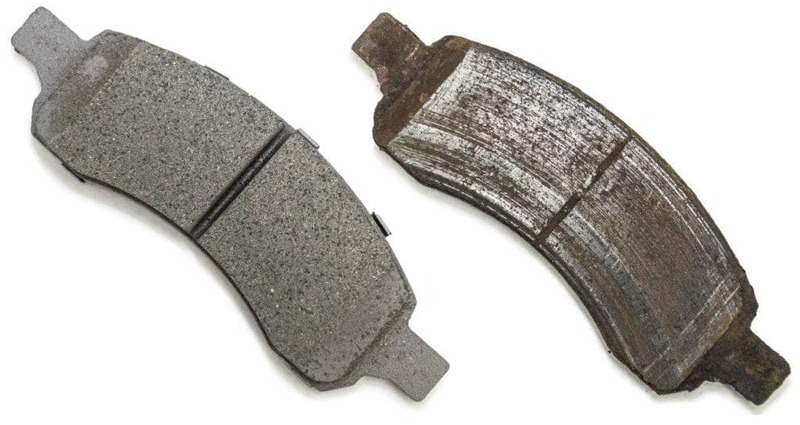 If you hear a grinding noise, it could be a sign of a worn down brake pad. Q: Why would my brake pedal feel spongy? A: If it takes you longer to stop or you have to press the brake pedal harder than usual, there could be an issue with your brakes. 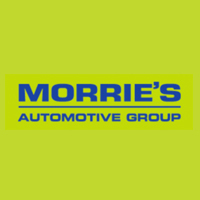 Bring in your vehicle and a certified technication can help pinpoint the issue. Q: How often should I change my brake fluid? A: Check your owner’s manual for the manufacturer recommendation. It could be as often as every two years. Q: Why would my vehicle pull to one side or shake when I apply the brakes? A: This could mean that your vehicle has a hydraulic brake issue, a mechanical problem, or an issue with the steering/chassis. If it shakes when applying the brakes, there might be an issue with your rotors.